Home / News / The Center for Scientific and Technological Equipments Walailak University together with Color Global Co., Ltd. Training on color theory and color changes from the environment on January 16, 2019. 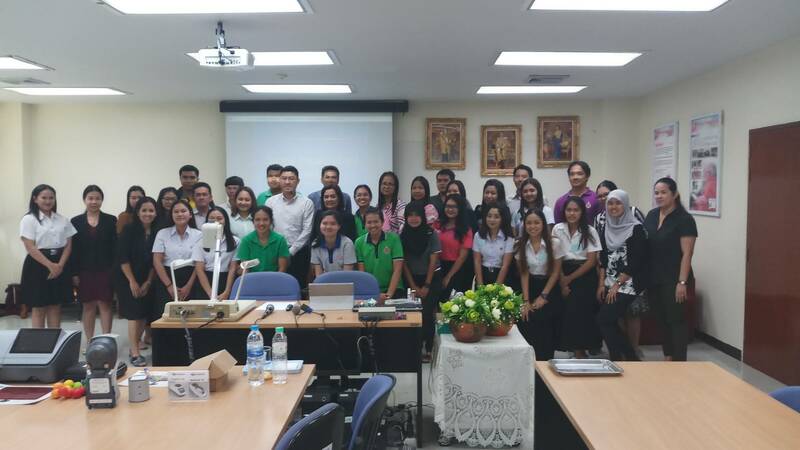 The Center for Scientific and Technological Equipments Walailak University Welcomed the Board of Directors of Thaksin University, Songkhla Province, to study visit on 18 April 2019. The Center for Scientific and Technological Equipments Walailak University together with Color Global Co., Ltd. Training on color theory and color changes from the environment on January 16, 2019. At 09.00 AM – 16.00 PM At Meeting Room 1, Science and Technology Building 5, Walailak University With a large number of faculty, researchers, staff, students and those interested in attending such courses. On this occasion, we have collected some photos which can be seen from the link below. 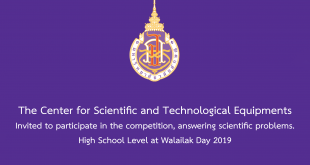 Previous The Center for Scientific and Technological Equipments Walailak University Participated in the Children’s Day activities 2019 on Saturday, January 12, 2019.